Wattle and daub has been used across the world for at least 6000 years and for many hundreds of years in East Anglia. As the name suggests it is made of two parts; the wattle which consists of the straight hardwood sticks (usually hazel, willow or ash), and the daub which is generally a mixture of clay, straw and animal dung. George Ewart Evans noted another ingredient in the East Anglian recipe, with Suffolk Punch horsehair regularly added into the mix. Indeed the importance of hair in the building and maintenance of houses in the east of England can be seen in some rent bills. In the 18th century George Pretyman of Bury St Edmunds not only received a thatching bill and brick bill but a hair bill! 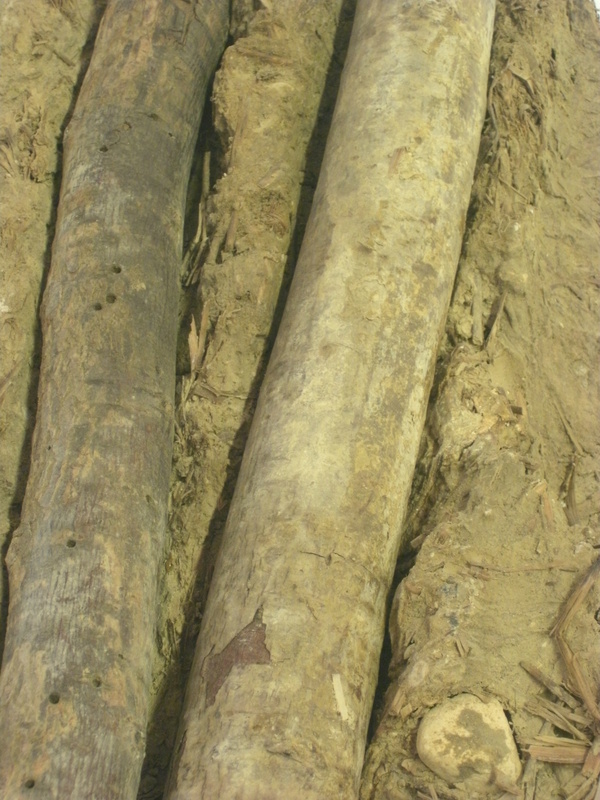 This is just a small sample of wattle and daub; better examples can be found in the Crowe St Cottages, where we have left sections of the walls exposed to better show the wattle and daub technique.